Father's Day is never complete without a tie for Dad. Unfortunately, as we scoured department stores looking for a quality tie at a decent price, we came up empty. When did ties get so expensive?? We couldn't find a single quality option under $40. Some were upwards of $80. A little defeated, we decided to take to the internet and make it our mission to find high quality, affordable ties to gift to Dad this year. In much less time than we spent wandering from store to store in the mall, we came across the perfect site: Cheap-neckties.com. Don't let the name fool you! The prices are cheap, but the quality of these designer ties is high. 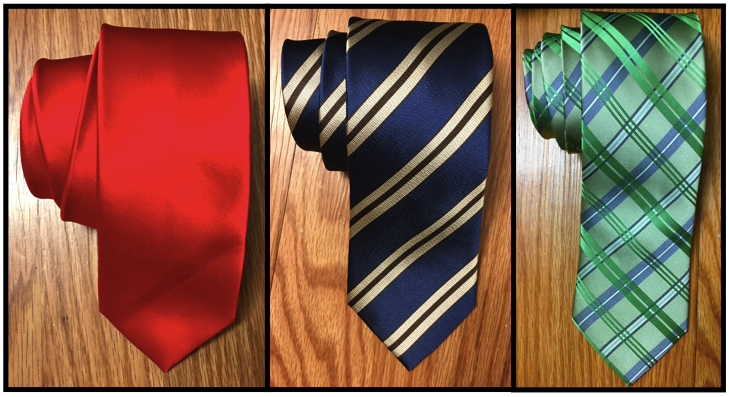 At ties starting at $5, how can you resist taking a look? They are, in fact, the #1 online source for cheap neckties and bow ties. While the cost of their ties may be low, the quality compares to ties that cost $30, $50, or $80 at department stores. They save customers money by cutting out all the middle men, which allows for lower prices. Cheap-neckties.com actually designs and produces the ties themselves using in-house professional fashion designers. These designers attend fashion shows in Milan, Paris, Munich, Florence and New York to bring us elegant necktie designs and colors for each season of the year. On top of that, every item is inspected before it is shipped. They fully stand behind their merchandise, too. If you don't like the tie, you can return it for a refund to your credit card. We ordered three ties from Cheap-neckties.com and are completely satisfied with each of them. Every tie is well made with thick, quality material. Cheap Neckties offers such a large variety of patterns, widths and lengths that it's easy to find a style to fit your look. Mens Red Necktie in Skinny Cut - This red power tie is a modern twist that looks fantastic with a wide variety of shirt colors. This skinny tie measures 2.5 inches across at the base of the tie. Asymmetrical Striped Tie in Blues and Browns - This striped tie made of dark blues, champagnes and espresso browns is part of the Cavallieri Retro Collection. The European silk has a chic and masculine feel. Looks great with a light colored button down shirt. Light Green Silk Tie with Check Pattern - This check patterned tie is gorgeous! We're especially impressed with it. The design is a mix of classic British check pattern with modern colors. It goes great with suit colors of light gray, tan, and navy-blue. Handmade from 100% Italian silk. Compared to the prices we found in at our local retailers, Cheap-Neckties.com has saved us a lot of money. In fact, we were able to get three ties for the price of just one department store tie. With a savings like this, we can afford to celebrate Dad's special day in other ways, too. Head to Cheap-Neckties.com to browse the selection and find the perfect Father's Day gift for Dad. They specialize in customized ties, too! Disclaimer: The products in this post were provided by Cheap Neckties. As always, our posts are our own, honest opinions.